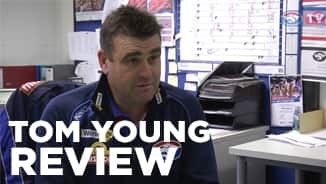 The Footscray coaches named Tom Young as best on ground against Bendigo but it is his sustained run of form that has Hansen most pleased. Young is a mid-sized defender with clean hands and a willingness to take the game on. Predominantly playing a lock down role in the back six as a third tall, the 21-year-old is also capable of providing run and rebound. Signed by Collingwood as a NSW Scholarship rookie at 17, he went on to win the best and fairest award with Collingwood’s VFL team in his first season before being traded to the Bulldogs at the end of 2012. 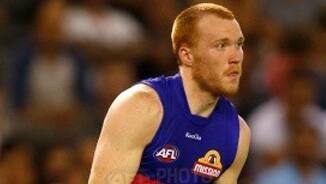 The Collingwood recruit recorded an impressive debut with the Bulldogs in 2013. Just 20-years-old at the start of the season, Young played 15 matches as a lock-down defender. The backman finished third at the Bulldogs for average rebound-50s per game and equal fifth for one-percenters. With 16 disposals and four marks per game, Young showed some flexibility as a medium defender, finding plenty of the ball, as well as shutting down big or small opponents. The 21-year-old showed a real aptitude both playing a lock down role as well as rebounding from defence in 2013. This was reflected against Richmond in round three, where he gathered a career best nine rebound 50s. 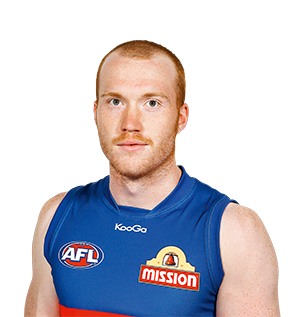 Young was traded to the Bulldogs for pick 71 at the conclusion of the 2012 AFL Premiership Season. Enjoyed another consistent season, playing 16 games in the VFL before he was finally rewarded with a senior call up in round 22 against the Brisbane Lions. Made a huge impression, winning 23 possessions and kicking two goals from the half back flank. 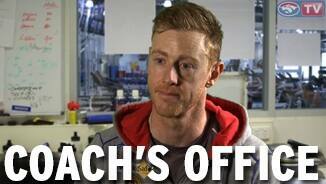 Was used as the substitute in round 23 against Fremantle in Perth and was omitted the next week. Moves gracefully and never panics when in possession. Looks to be a long term prospect Pies fans can bank on. Also became the first noted redhead to play for Collingwood since Jason Wild (1995-1999), and took over Josh Fraser's No. 25 guernsey. Moved to Melbourne and played for Collingwood’s VFL team as a 17-year-old. Wearing the No 49, Young had a superb season, playing all 19 matches, mostly at half back with occasional turns in the centre square. In a team full of stars such as Tarkyn Lockyer, Shane O’Bree and Josh Fraser, Young won the Joseph Wren Trophy as Best and Fairest player in Collingwood’s VFL team. In November, Young was officially promoted to the senior list with pick 104 in the National Draft. Represented the Western Sydney Pioneers in the U18 state zone trials. Selected in the NSW-ACT U18s squad as a 16-year-old. Played senior football for Sydney University in the premier division of the Sydney AFL League. Played for Campbelltown in the Sydney AFL League. Signed to Collingwood as a NSW Scholarship rookie as a 15-year-old. Originally from Bowral, Young was signed while playing for the Campbelltown Blues and had previously played for Wollondilly. Initially a part of the Magpies Academy U14 squad.